Congratulations on your assignment to Schriever Air Force Base--one of the newest bases in the Air Force. 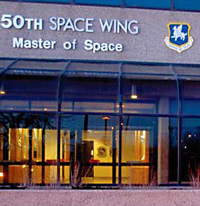 Schriever AFB is the home of the 50th Space Wing, the Space Innovation and Development Center, the Missile Defense Agency's Joint National Integration Center, 310th Space Group and numerous tenant organizations. The 50th Space Wing's mission provide combat effects to the warfighter, to include precision navigation and timing and secure satellite communication, through command and control of DOD satellite systems. The other units at Schriever also perform space missions. We are unique in that we have no flightline and no aircraft mission. The daily mission at the 50th Space Wing takes us to all parts of the world and deep into space. The wing operates satellite operations centers and tracking stations around the world. Some of the services normally provided at most Air Force bases are not available on Schriever; however, Peterson AFB is a full service base, offering base housing and other support functions. More than 6,200 personnel work on Schriever AFB, located approximately 10 miles east of Colorado Springs. 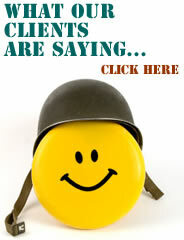 You are joining a highly dedicated and professional group of military, civilian, and contractor personnel. We are very proud of our mission success rate and the fact that each individual does their part to create a quality Air Force environment. Schriever AFB challenges you to become part of our tradition of excellence. Colorado Springs is located on the eastern boundary of the Rocky Mountains. To the east are rolling plains. To the west rises the majestic 14,110-foot Pikes Peak, one of many high, scenic peaks of the Rockies. To the south is the Arkansas River valley with its agricultural lands and the town of Pueblo. To the north lies the Denver metropolitan area. Much of the city occupies gently rolling hills which slope westward, offering unobstructed views of Pikes Peak and the Front Range from most sections of town. From the very beginning, Colorado Springs and the Pikes Peak region have been developed as a community with quality of life in mind. Today they offer residents an ideal blend of business opportunity, culture and unparalleled outdoor recreation.